What does it mean to be a born again Christian? John 3:3-6. Before being born again I am led by my own human inclinations, namely the desires of the flesh. Generally, this is what guides my thought processes and decisions. But the desires of the flesh do not lead to the life of Christ, which is what I am called to. To give in to desires such as pride, laziness, greed, envy, selfishness, and many other forms of evil, leads to sinTo commit sin is to consciously do something that you know goes against God’s will. This can be in word, deed, or even thought. (James 1:14-15)... More. Jesus describes the pre-born-again mind like this: “Because you say ‘I am rich, have become wealthy, and have need of nothing’ – and do not know that you are wretched, miserable, poor, blind, and naked.” Revelation 3:17. It is when I acknowledge that I am as described in that verse that I am at the point where I am ready to be born again “of water and the Spirit.” Nothing that I have as a result of being born of the flesh, as a natural person, is capable of serving God. When I acknowledge that I am not able to do the good, then God can take over. I need to surrender absolutely everything to be born of the Spirit – it is a rebirth of the mind and heart. I become dead to the desires of the flesh and alive to the promptings of the Spirit. 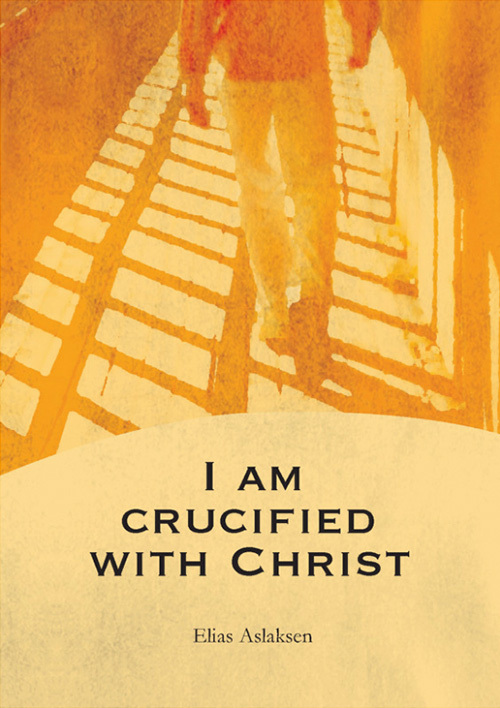 “I have been crucified with ChristJesus was physically crucified on the cross at Calvary. Though blameless, He took upon Himself the punishment for sin, which was death, so He could pay our debts and forgive us our sin if we are willing to believe in Him and follow Him the Apostle Paul wrote: “I have been crucified with Christ…” (Galatians 2:20) This is a metaphorical... More; it is no longer I who live, but Christ lives in me; and the life which I now live in the flesh I live by faith in the Son of God, who loved me and gave Himself for me.” Galatians 2:20. Read more: How do I give my life to Jesus? All of Colossians 3 is a very good description of a born-again Christian, starting with: “If then you were raised with Christ, seek those things which are above, where Christ is, sitting at the right hand of God. Set your mind on things above, not on things on the earth. For you died, and your life is hidden with Christ in God. When Christ who is our life appears, then you also will appear with Him in glory.” Colossians 3:1-4. I know that I am born again if I know in my heart that my desire is not for anything of this earth, but rather a desire to serve God alone and let Him have control in my life. A desire to live for eternity rather than for anything in this world. A desire like Jesus that “Not my will but Yours be done.” Luke 22:42. It is when I am willing to let go of my own strengthThis refers to a person who is attempting to put to death their sinful desires without help from God; not sinning by sheer strength of will. Some people may manage this to some degree, but ultimately it is impossible to come to total victory in one’s own strength, eventually one will come to an end of their own strength. A... More, pride, stubbornness, and human ability and follow the Spirit’s leading so that God’s will can be done. Then I find that by the power of the Spirit, everything is possible. I can move mountains in my life. That which I thought was impossible, victory over sin“Victory over sin” means that you do not commit conscious sin – that which you know would be sin at that time when you are tempted. It doesn’t mean that you are without sin, but that temptation is overcome before it can become sin. (Romans 8:37; 1 Corinthians 15:57; Revelation 2:7)... More, is accomplished. I am becoming a transformed person; a new creation. I let God bend and mold me into the person that He wants me to be. Then I can see the kingdom of God. My eyes are opened to see beyond the things of this earth; to see what has true value. With God’s kingdom comes everything that is truly good, both in this world and in eternity. Seeking God’s kingdom is therefore the most rewarding thing a person can do. “That the God of our Lord Jesus Christ, the Father of glory, may give to you the spirit of wisdom and revelation in the knowledge of Him, the eyes of your understanding being enlightened; that you may know what is the hope of His calling, what are the riches of the glory of His inheritance in the saints, and what is the exceeding greatness of His power toward us who believe, according to the working of His mighty power.” Ephesians 1:17-19.